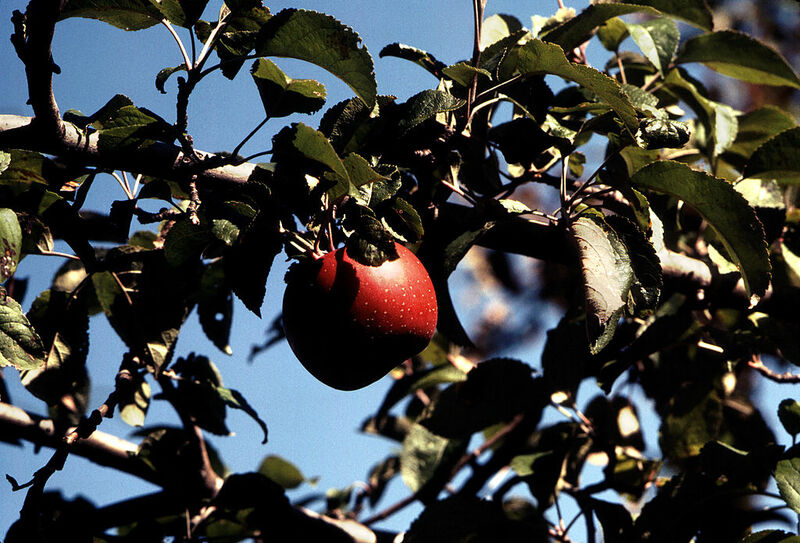 First discovered in upstate New York in the 1700s and long ago nearly lost to history, the plucky Esopus Spitzenburg apple is making a comeback—slowly. If there are more than 7,500 types of apple in the world, why can most of us only name just a few? Easy—in the United States, just 15 varietals account for roughly 90 percent of commercial production. That leaves a lot of apples fermenting on the compost pile of history. If some small growers across North America have their way, some of the oldest and very best of these won't be lying there much longer. From rural Maine to British Columbia's pristine Gulf Islands, you'll find an increasing number of orchards eschewing the usual Honeycrisps and Fujis for the far more unusual (and far more interesting) Westfield-Seek-No-Further, Black Oxford or Ashmead's Kernel. If it could happen for tomatoes—by now, anyone who's so much as driven past a farmers market or an upmarket grocery store during the past decade can tell you all about the joys of an ugly-cute, distinctively-colored heirloom—why not apples, too? Committed farmers like Talea Finke and her husband Doug are doing their best to make that a reality. Working the land at Montgomery Place, a historic estate in New York's Hudson River Valley, they've been the keepers of orchards as old as some of these lost varietals for nearly three decades now. The property, now owned by Bard College, is visited annually by those in search of these heirloom, or antique apples, but few moments during the fall harvest are quite so exciting for fans as the week in October when the Esopus Spitzenburg is ready for its close-up. First discovered just across the Hudson in the 1700s, this pretty little apple with the unusual name (the town of Esopus is where it was found) was, in its day, one of the most favored apples in the country—Thomas Jefferson even planted trees at Monticello and is said (though it's not so much been confirmed) to have loved it the best. One bite and you'll see why—the perfect balance of sweet and tart, there's almost a spice, an aromatic quality to the juicy, crispy flesh. If kept correctly, it can end up tasting even better in time. The Esopus Spitzenburg may not look as stunning as some—its shape isn't terribly distinctive, the coloring fairly typical—but once you try one, you'll likely never look at supermarket apples the same way again. John Bunker has been called the Apple Guru; his orchard, not far from the summer towns of Camden and Rockport bear enough fruit to allow the farm to operate an annual apple CSA; Bunker and his partner Cammy Watts also can be found at the nearby annual (September) Common Ground Country Fair—farm visits are by appointment only. This farm on a Hudson River Valley estate operates one of the Northeast's best produce stands, an obsessively curated, highly seasonal effort that's well worth a day trip from New York City. Follow availability on their Instagram. On just a few acres on an island near Vancouver, Peri Lavender and Brian Webster have planted more than three hundred different varietals, including the Esopus Spitzenburg. Want to sleep among the trees? There's a three room B&B on premises.